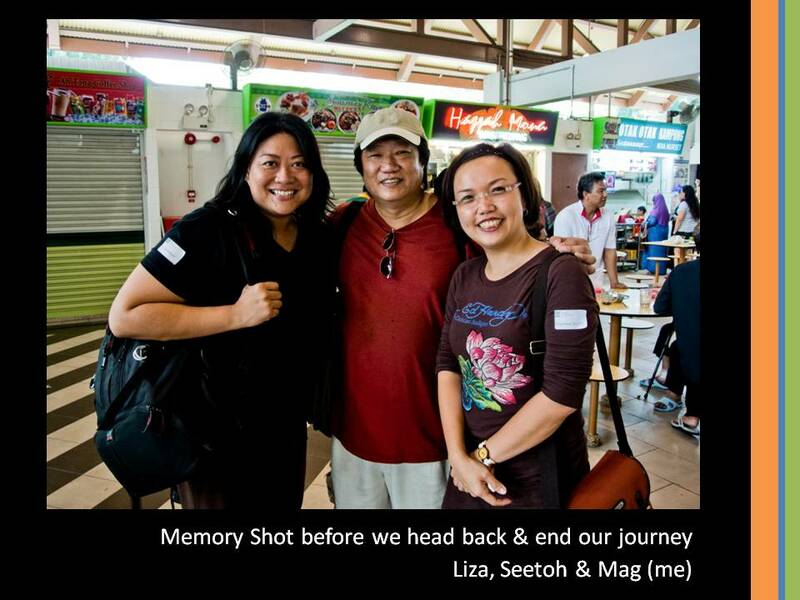 Had a fabulous opportunity to go on a themed Food Tour with Singapore food guru, KF Seetoh organised by Friends of the Museum Singapore for its Super Saturday programme. He presented us with his interpretation of the culinary delights that is associated with Chinese New Year (CNY) period which will be celebrated in about 1 week’s time. First it was a stopover at Chinatown Food Centre. This hawker centre is one of the oldest and biggest (about 180 hawker stalls) hawker centres in Singapore and is located in *drum rolls* Chinatown. At that location, he spun many exciting tales about the hawkers (still operating & recently past) and the local food scene while we soaked in the busy atmosphere of the streets from inside the hawker centre. It was a choice location setting the perfect mood as the area was thick with food delights and smells. We ventured forward in our culinary journey in a specially chartered bus to an old establishment called “Lai Wai Restaurant” in Bendeemer Road. For those who don’t know (including yours truly), the founder was one of the 4 heavenly culinary chefs that came up with Yu Sheng, a ‘made-in-Singapore’ dish that has come to represent Chinese New Year in Singapore. One does not feel that he/ she has celebrated Chinese New Year in Singapore unless a meal comprise of Yu Sheng, a multi-colored auspicious dish filled with flavour, colour and good tidings. To accompany the Yu Sheng, which is wonderfully moist and crispy, a dish filled with perfectly Fried Prawns which are succulent and roe-filled red legged prawns coated with special crispy dough. This prawn dish is associated with CNY as prawn means ‘happy’ in Cantonese. We were also presented with a “Fa Chai” dish, which is another ‘lucky’ dish special for this festive season. This stop was too short to be considered a meal as we were (unfortunately) told to only be 30-40% full at this stopover. On the way to our next stop, Seetoh provided us with carefully orchestrated descriptions of other famous food dishes associated with Singapore like fried carrot cake and fried hokkien prawn noodle before finally informing us that our next stop was to be a 2nd generation hawker specializing in the fried hokkien mee (carefully called "Lor 29 Geylang Road" although it is now located within food stall at East Coast Road). It was definitely a delight for all when he brought us right next to the ‘master’ chef when he was whipping up the dishes over an extremely hot furnace that is fired by charcoal (rare nowadays). This hawker is also unique as he had retained the use of the betel nut leaf (for takeaways starting from medium portions) which adds to the aroma of the dish. The stall helper explained that this practice is hardly adopted by other hawkers due to the scarce supply of the betel nut leaf as only 1 leaf is shed by the betel nut tree each month(!). By the end of this 2nd stop, many of us are perfectly filled up (although our mandate was to be only 70% full) with the fried hokkien prawn noodle and fried carrot cake that were both exceptional in both taste and texture. This place definitely warrants a return trip! Our last stop-over was surprisingly at Geylang Serai, an enclave for all things associated with the Malay (not Chinese) culture in Singapore. Seetoh explained that he brought us here because Chinese hawkers in Singapore are generally closed for extended periods (7 -15 days at a stretch) during CNY, people who wish to have their hawker meals will throng to places like Geylang as they are mainly operated by Malay stallholders! We ended our tour happy, contented and perfectly stuffed to the brim. Thanks to Seetoh for a delightful 4 hours and FOM for organising this one-in-a-lifetime food treat!